• This afternoon, Picaroons will be having a mini-launch party for their “other” summer beer, Melonhead. Held at the Brewtique in downtown Fredericton, Melonhead will, of course, be available on tap. As well, several cats (only those 2.7 years or older) will be there taking part in the festivities, including the winner of the Melonhead label contest. Real Food Connections will be providing some “melon-esque” food, and some members of the Chickadee Cat Club will be attending to promote their cat show on the weekend. The fun starts at 2pm. • Garrison Brewing is releasing their Tilford’s Nit Wit Belgian Witbier today, including tapping a firkin at the brewery at 4pm. It will be available at the NSLC, as well as the ANBL. The beer originally began as the winner of the 2010 Home Brew-Off Challenge, brewed by Scott Tilford, but has been so popular that it has been back every year since. Hopefully some of the other winners can make an appearance again too! And a reminder to homebrewers, the 2014 Brew-Off style has been announced: Weizen/Weissbier (BJCP style 15A). • The owners of Red Rover Brewing Co. have recently begun their campaign to help raise money for their business. Geared to supporters that live in the Fredericton area, a $30 donation entitles you to a t-shirt customized to the area of Fredericton that you live in (i.e. North Side vs. South Side). Check out details and pictures of the shirt here. As well, “Red Roverlutionaries” will receive a membership cider mat made from local hardwood, be entered into random prize draws, and will be notified of upcoming exclusive events put on by the cidery. • Brewmaster Nash at the Hart & Thistle has released his latest concoction, the High Voltage Double IPA. This joins his 1913 Stock Ale, also on tap. It looks like a beautiful weekend to spend on a patio on the water in Halifax. • Celebrating their recent Canadian Brewing Awards medal, Acadie-Broue will be tapping a keg of Tintramarre Saison at the Laundromat Expresso Bar this Sunday at 4pm. Come on down to taste this excellent beer! • Thursday, June 6, there will be a Beerthief tasting of Propeller beers at the Howley Estates NLC in St. John’s. Propeller beers were part of a recent Beerthief order, and so Mike and Tom will be giving a guided tour of these beers. Congratulations to Mike for completing his Certified Cicerone® program, not an easy task! • According to the Coastguard newspaper, the brewhouse for Shelburne’s Boxing Rock brewery arrived last week. We look forward to their opening this summer, and will have some details on the setup soon! • A head’s up for good beer fans in NB: Unibroue’s Grand Reserve 17 is now available in several ANBLs in Moncton and Fredericton. While not brewed in the Atlantic Provinces, it is a great Belgian Dark Strong (aka Quadrupel), and these styles are few and far between in the area. This beer will keep (and improve) for years if stored properly (cool and dark). • While not in the Atlantic Provinces, Montreal is a short plane ride away for many of us. This weekend’s Mondial de la Biere event is certainly worth that plane ticket! It is held in a large convention hall, and has free admission. You then purchase tokens to spend on exactly the beers you want to try. And there are over 500 beers to try, so you won’t get bored. It started Wednesday, and is on until Sunday. • Tonight, Picaroons continues their Plaid to the Bone launch in Perth-Andover. Featuring their Heather Ale, the “Picaroons Castle Ceilidh” will be held at the Castle Inn. The festivities begin at 7 pm, and will include the Southern Victoria Pipe Band and Fredericton’s Highland Dancers, followed by PEI’s Ten Strings and a Goat Skin (who continue to tour New Brunswick for this beer’s launch). There will be a large “Picaroons-infused” pub menu, with food items ranging from Best Bitter-battered onion rings to grilled salmon with Simeon Jones garlic cream. The launch continues Saturday night in Moncton at Plan B (after the beer festival), where Ten Strings will be performing at 10 pm. 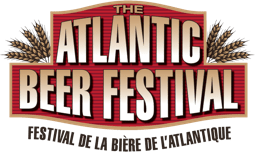 • Mirella Amato is in New Brunswick this week, taking part in events surrounding the Atlantic Beer Festival. She is hosting two events at The Station in Fredericton today: from 1-3pm, she will be running a mock beer competition, where participants will be able to taste some winning beers from the recent Canadian Brewing Awards, learn how to judge beers, and even do some judging themselves. This event is free and open to the public. Later in the evening (6:30-8:30), Mirella will be leading a five-course tasting, highlighting the style range of beers, and how they can pair with food in some exciting and fascinating ways. Tickets are $25. As mentioned in our previous post, she will also be leading a VIP tour of the Atlantic Beer Festival, including appetizers at Pump House, limo ride to the fest, and a guided tasting of a handful of the best beers on tap at the fest. • Last Saturday’s grand opening of the new location for the PEI Brewing Company was a great success, with approximately 600 people attending the day’s events, despite less-than-desirable weather. Two new beers were introduced, a Blueberry Ale, and a Mango Wheat. While both beers will continue to be available on tap at the PEI Brewing Company (the Mango Wheat for a limited time only), the Blueberry Ale will also be pouring at some bars/restaurants on the Island, and can also be found in bottles at the brewery and at PEILCC locations. • Halifax’s The Coast website has published its annual readers’ poll results, and Garrison Brewing Company has been selected as Best Craft Brewery! Runners-up were silver and bronze medal-winners, Propeller Brewing and Bridge Brewing, respectively. As for Best Brew Pub, Rockbottom unseated previous 9-time winner Rogues Roost to win the top prize. Rogues Roost finished second, followed by Hart and Thistle. Congratulations to the winners! • Speaking of Rockbottom, their Insidious IBA (India Black Ale) is now on tap. This beer won a bronze medal in the American Style Black Ale (also known as Black IPA, Cascadian Dark Ale, etc) category at the recent Canadian Brewing Awards. Get it while it’s … cold! • For those of you looking forward to getting a taste of one of the new Grimross beers tonight in Fredericton, there’s some bad news… the Love Your Balls event has been cancelled. We originally reported on this charity event last Friday. Looks like we’ll all have to wait another few weeks until Grimross is available commercially.